permeating the realism with surreal scenes. "Happy New Year '49...Absolutely impressive achievement!" "Film Director with a style and vision!" Films with blazing characters and attached to the human passions ! The trains in Stole Popov’s films travel – they depart and return, moving as threads that metaphorically connect the hopes, wishes, joys, as well as absurdities of the human existence, yesterday, today… perhaps tomorrow? In the unforgettable 1960s, 1970s and 1980s, in the art of the ex-Yu countries, people dreamed of and created something that falls under the terms freedom of thought, democracy… Remarkable works in all areas of creation were produced. New authors, new sensibility, revolutionary ideas… However, there was also a counterpoint – political one, of course! Others, on the other hand, dreamed of wars, genocides, bloodshed… The wounds stayed. But the works of art as silent witnesses of the following insane and absurd decade, the 1990s, remained, too. Even with his first films (those he made at the Film Academy in Belgrade), it became clear that Stole Popov’s effectuated ability for what is known as “film thinking” will come up against numerous creative challenges in the future. And that is how it was. At the very beginning, I wish to define the things that are typical of Maestro Popov: in his approach to his works, as well as to the viewer/consumer of his works, he is fully oriented toward finding the most appropriate method for effective conveyance of the spiritual life of his heroes and the basic idea of his works. Stole Popov has won over 50 high European and World Awards and significant recognitions, particularly stand out 8 Grand Prix’s at different International festivals and two nominations, for “Oscar”(American Film Academy and “Felix”(European Film Academy). Starring Inti Sraj, Sasko Kocev, Martin Jordanovski and Toni Mihajlovski the film unveils a harsh though romantic story in which the eternal Macedonian cause for own identity and independence is seen from the angle of illusion and relativity of freedom, justice, love, happiness, sacrifice, lies and treason. 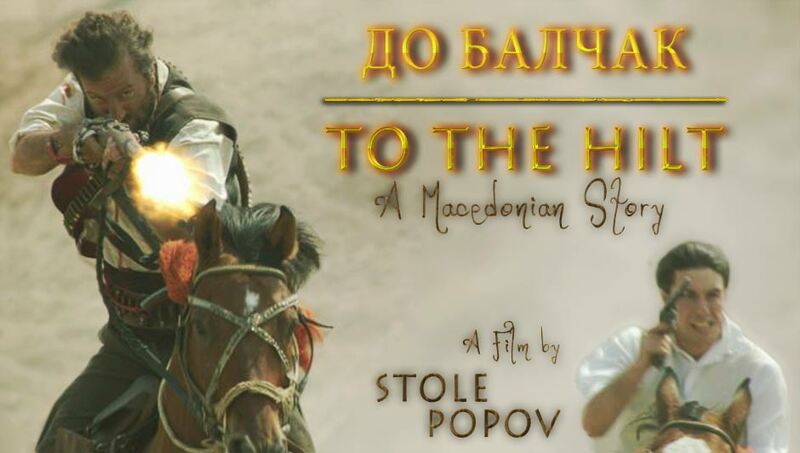 This is a film about the dialectical encounter between the myths and the anti-myths, a film in which legends and storytelling face the ongoing reality of the cruel life through Macedonian history full of super historical absurd. This film breaks down the barriers of the space where western and eastern civilization have intertwined for centuries. Over the years people talked about him, Let’s See What Some Have To Say?